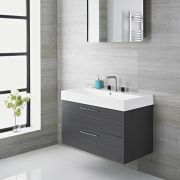 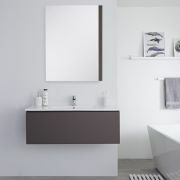 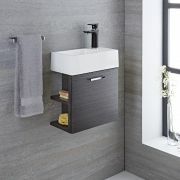 Revitalise your bathroom and inject a contemporary style with the wall-mounted Milano Oxley 800mm vanity unit and basin. 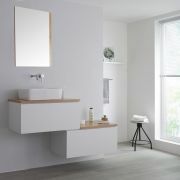 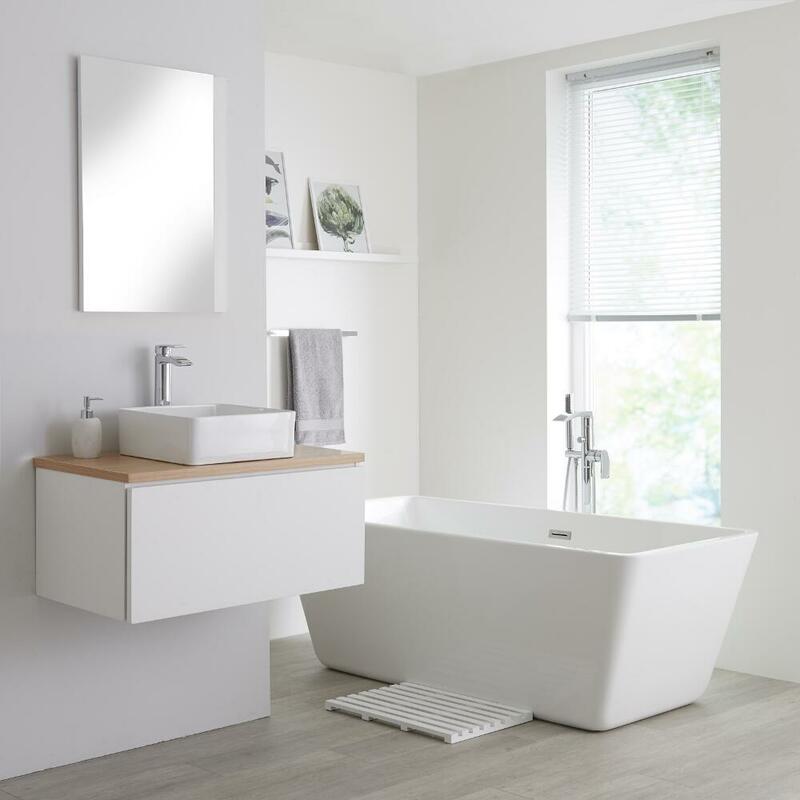 Made from moisture resistant engineered wood to provide both strength and long-lasting durability, the Oxley vanity unit boasts a modern matt white and golden oak woodgrain finish. 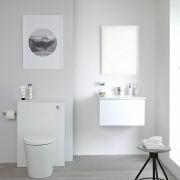 A generous push to open soft close drawer allows you to conveniently store your toiletries and cosmetic products away without cluttering up the bathroom. 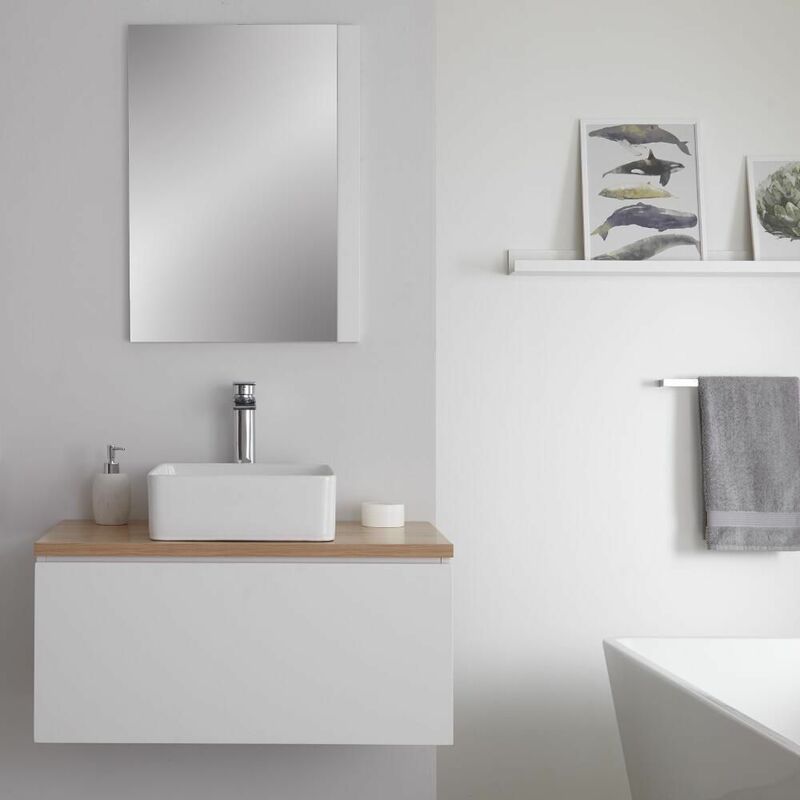 A stylish high quality ceramic rectangular countertop basin, finished in an easy to clean white glaze, complements the vanity unit perfectly with its simple, sleek lines. 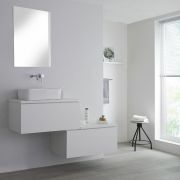 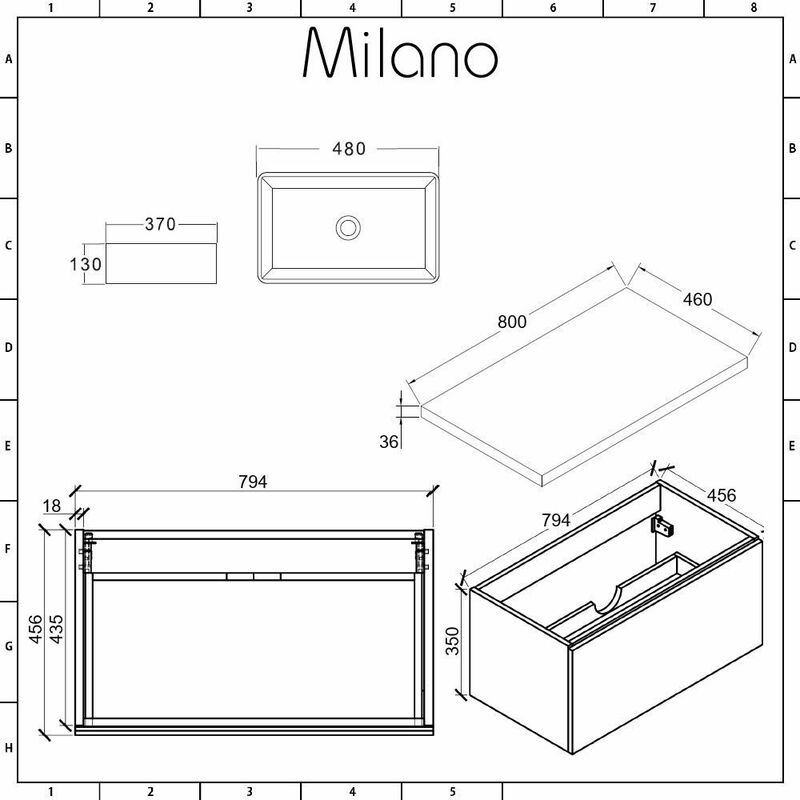 The basin is not fitted with tap-holes and so can be used with any of the wall-mounted or high-rise taps from our range.